Product prices and availability are accurate as of 2019-04-12 11:01:26 UTC and are subject to change. Any price and availability information displayed on http://www.amazon.com/ at the time of purchase will apply to the purchase of this product. 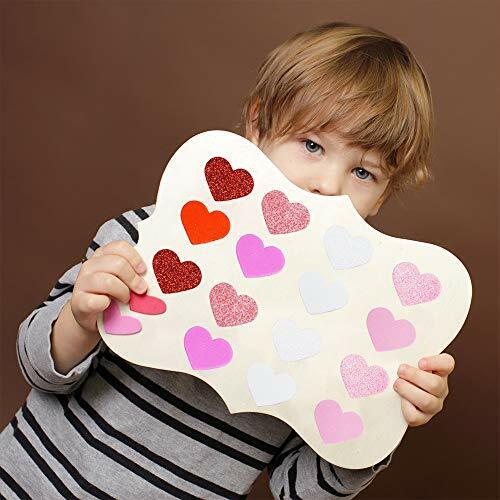 Use assorted heart stickers to ignite your child's imagination and keep them busy for hours. 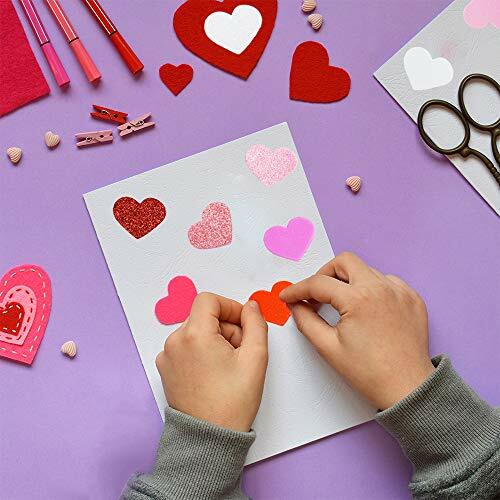 These hearts are perfect for your Valentine's Day party. Simply scatter them on a table as confetti or hand them out as fun party favors. Simply peel away the back and press the stickers down to wherever you wish to place them, picture frames, cards, favor bags, notebooks, posters, envelopes, scrapbook pages, mason jars, bottles, wood clips and more. 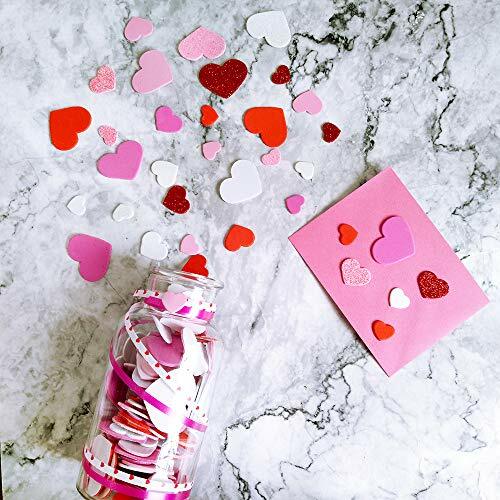 Heart Stickers are perfect for adding to your wedding boxes, party favors, drinks, cups, cards or anything you can think of for your wedding décor or guest gifts. 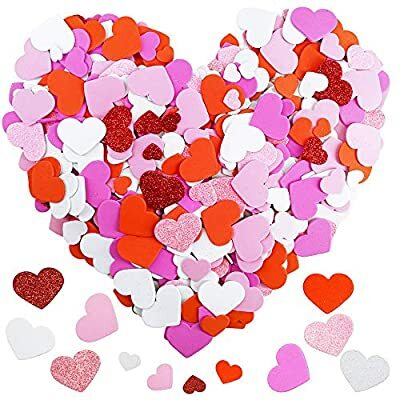 Quantity: Package includes 600 pcs Valentine's Day heart shaped stickers self-adhesive foam hearts in 3 sizes and 4 colors. All styles included in the package are pictured. Dimensions: The heart stickers are available in 3 sizes, 0.7", 1", 1.7" in diameter and 1.8mm in thickness. Bring a 3D effect and extra dimension to your crafts with these stickers! Color: There are 4 colors for the stickers, red, pink, white and rose red. Some have glitter and some don't. Material: Each heart sticker is cut from foam and some are covered in glitter. These stickers have a peel-and-stick backing that makes them easy to be attached on a variety of surfaces without messy gluing. 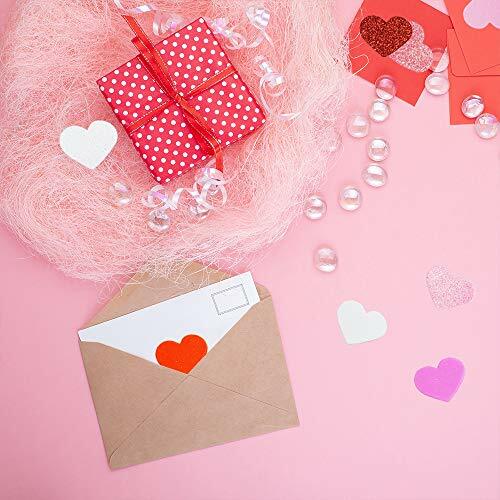 These foam heart stickers are perfect for decorating Valentine's Day cards, valentine mailboxes, wedding boxes, tables, picture frames, party favors, gift wrapping, gift tags, envelopes, scrapbook pages, classroom crafts, journals, stationery, and more!